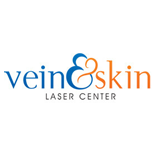 The Vein and Skin Laser Center has emerged as a cosmetic hot spot in North Atlanta Georgia, providing the people of Brookhaven Dunwoody and Sandy Springs with superior skin care treatments. Board-certified founder, Dr. David Fern, has been heading the East Sandy Springs Clinic for years. With over three decades of experience, Dr. Fern is an expert in treating skin and vein conditions. Each patient is guaranteed special attention and care with any procedure he performs. The Vein and Skin Laser Center treats a number of different conditions including wrinkles, rosacea, hyperpigmentation, sun damage, acne scars, unwanted hair, age spots, and sagging skin. Many of these ailments can even be treated simultaneously with Lumenis’ UltraPulse CO2 Fractional Laser and LIGHTSheer Laser. No matter what the cause, Dr. Fern patients are guaranteed to be pleased with the results. A popular treatment, Fractional Laser Surfacing, allow patients to choose between lasers depending on the level of skin damage. While both lasers are effective, one may be more suited for an individual’s particular condition. Though, sometime patients even combine treatments from both lasers to achieve TotalFX results. Other excellent treatments in North Atlanta include IPL Photofacial, Botox, Laser Hair Removal, Chemical Peels, and Microdermabrasion. For more information about these and other treatments offered at the Vein and Skin Laser Center in Atlanta, contact us today and schedule your free consultation!